Freshen up your website with .coffee! Coffee is one of the most preferred refreshing drinks worldwide and one of the most important international agriculture trade goods. This caffeinated drink is available in any restaurant, bar, coffee house, and in every household. Coffee is all around us. If your day cannot start without your morning coffee, or if this aromatic drink is part of your business, why don't you register your site with a .coffee domain? 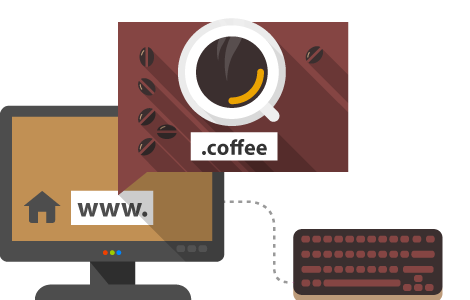 Show the refreshing power of your business with a .coffee domain!